Covered Porches: 112 sq. ft.
Open Decks: 60 sq. ft. Gross Area: 912 sq. ft.
We are pleased to introduce one of our newest home models, the Dock House. Available with a number of premium options, the Dock House offers style and flexibility with a mind on budget. 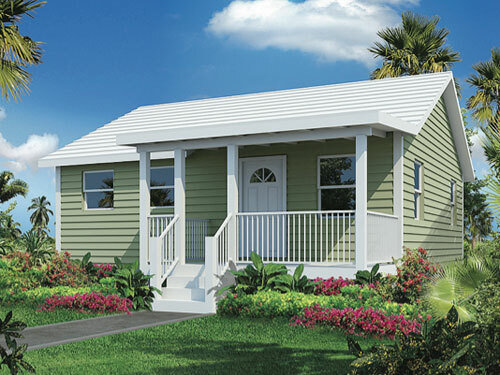 Measuring 26 x 28ft., The Dock House open floor plan consists of two bedrooms and one bath. The optional covered front porch and rear sun deck combine to provide 912 sq.ft. of premium “Island Home” living space.